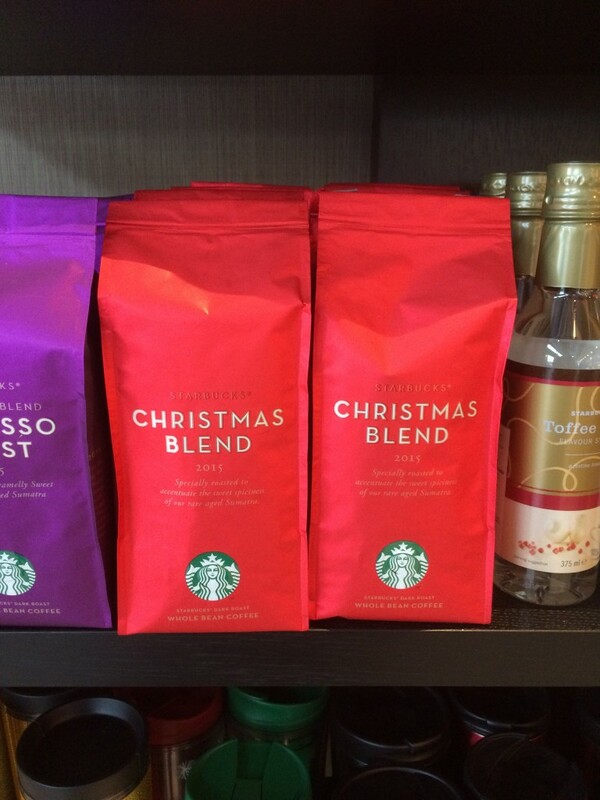 Starbucks Christmas 2015 – Gift ideas for coffee lovers. Home / Christmas gift ideas for her / Starbucks Christmas 2015 – Gift ideas for coffee lovers. Taking my role as “The Christmas Blogger” really seriously I do like to record the branding used by the major coffee shops each Christmas. 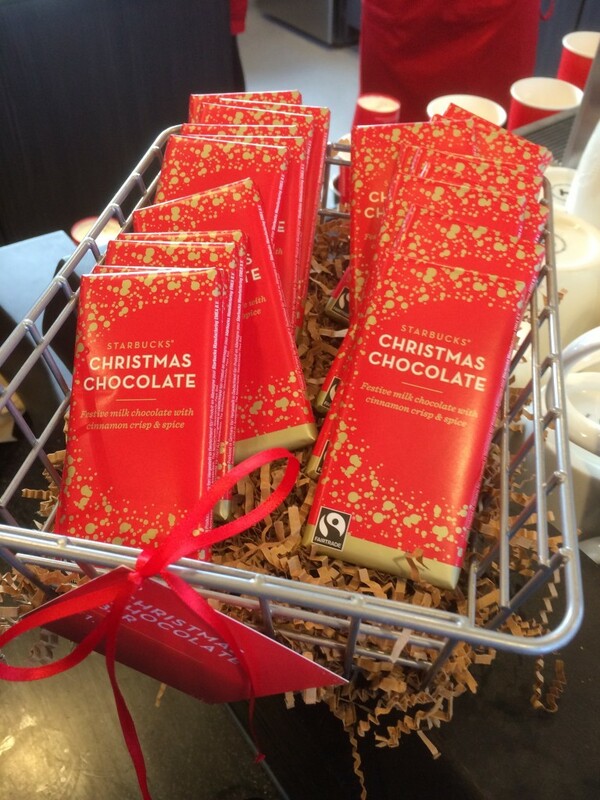 I stopped at a Starbucks last week and spotted their Christmas chocolate bars on the counter. I then turned around and they had a whole wall of coffee related Christmas gift ideas. Starbucks Christmas chocolate. Festive mile chocolate with cinnamon crisp and spice. I think this would go rather nicely with a cup of coffee. 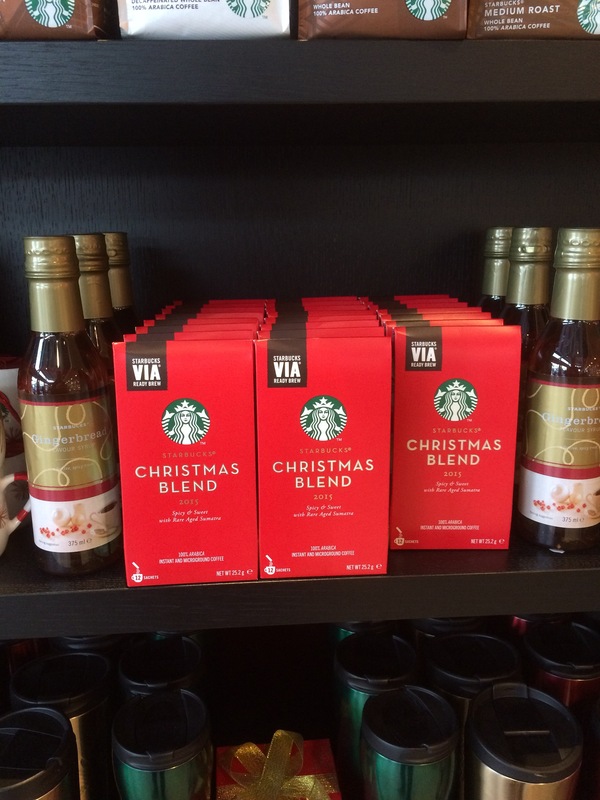 Starbucks Viia Ready Brew Christmas Blend 2015. Spicy and sweet with rare aged Sumatra. 100% Arabica instant and micro ground coffee. 12 Sachets. Pictured next to their Gingerbread syrup.